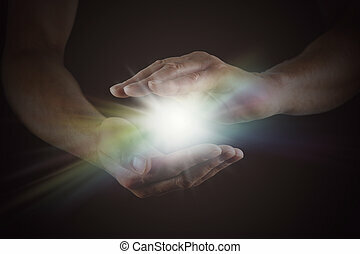 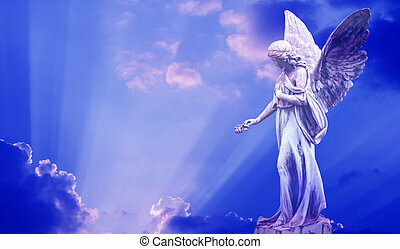 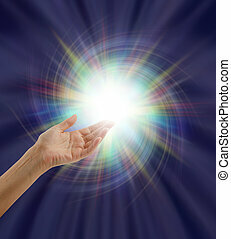 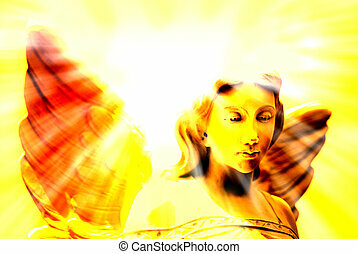 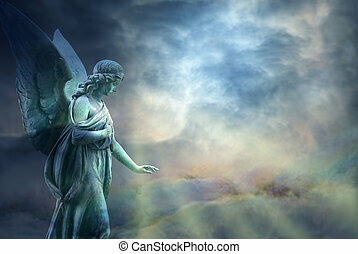 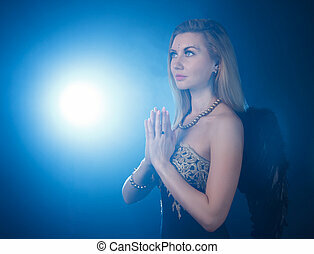 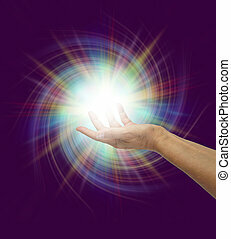 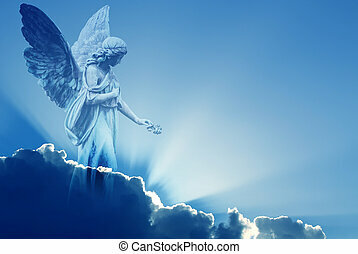 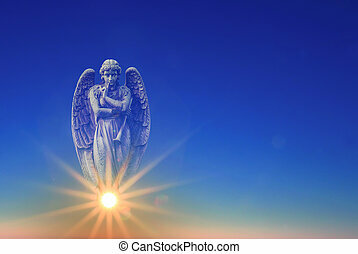 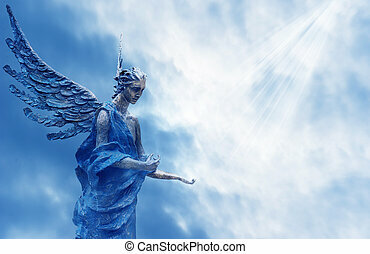 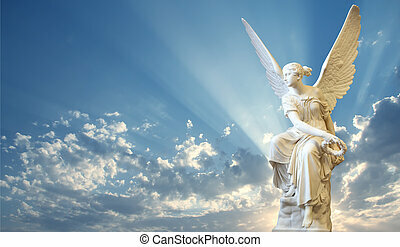 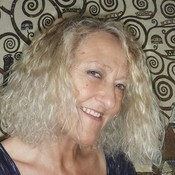 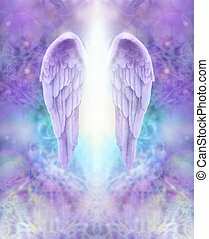 Angel of divine light. 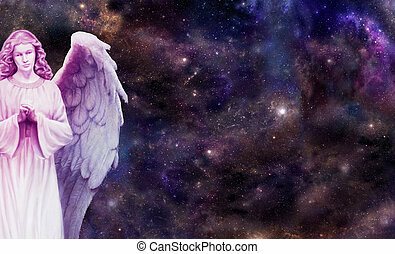 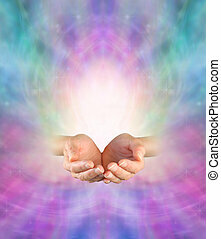 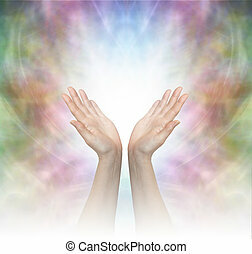 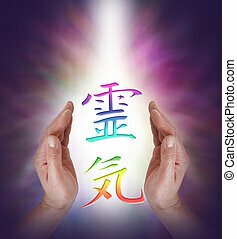 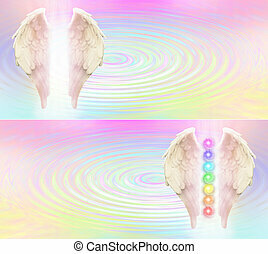 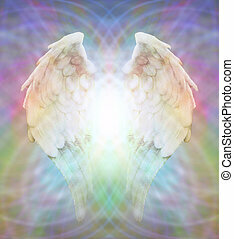 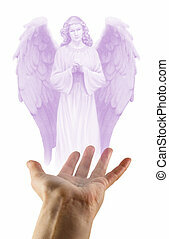 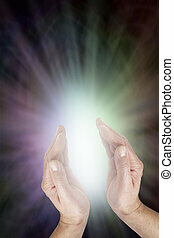 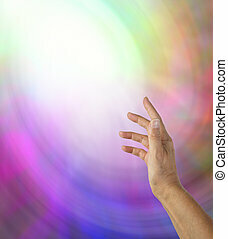 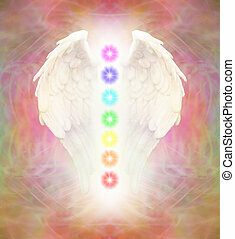 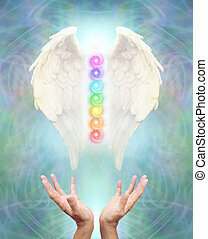 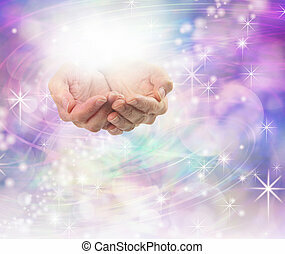 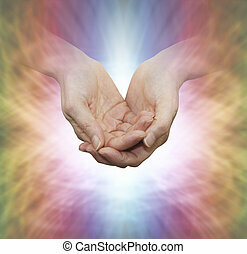 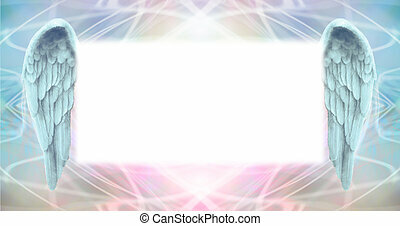 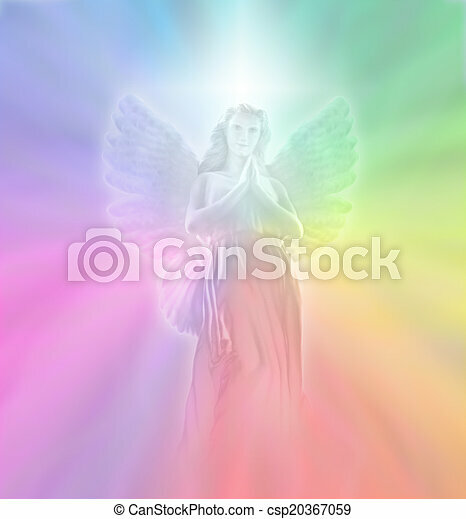 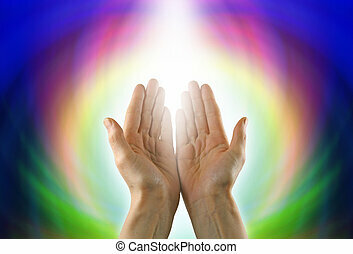 Soft rainbow background with a transparent angel form and white light cross behind. 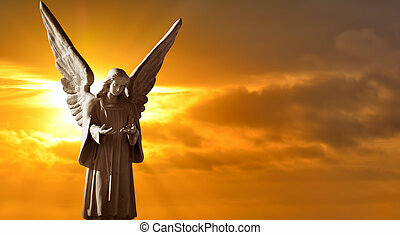 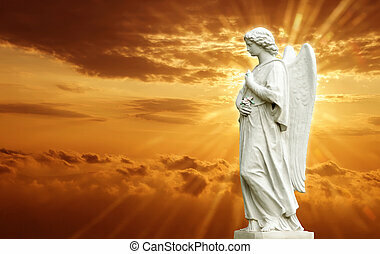 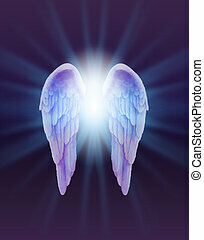 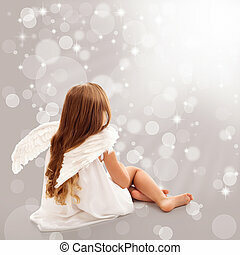 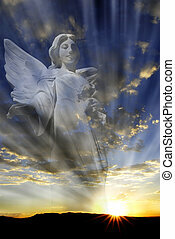 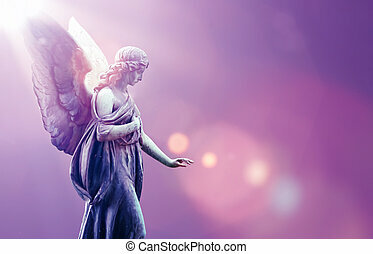 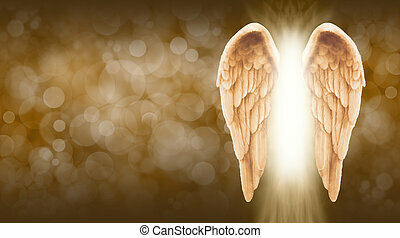 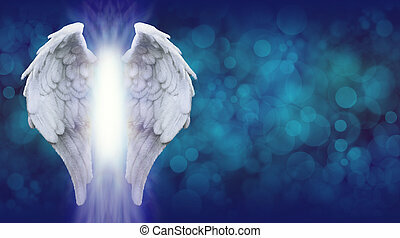 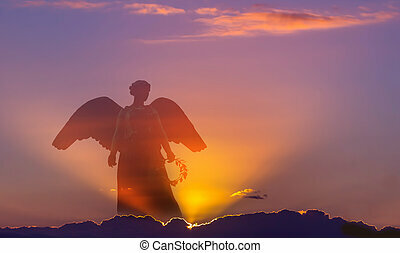 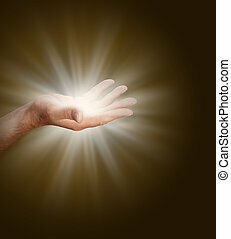 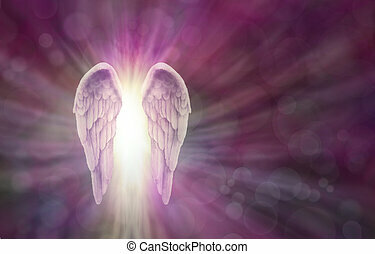 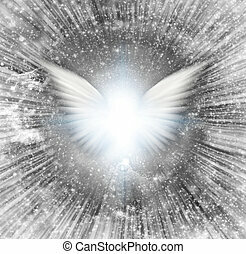 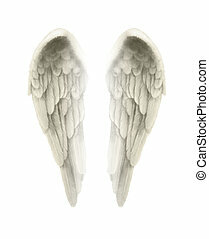 Shining angel's wings, rays of light.